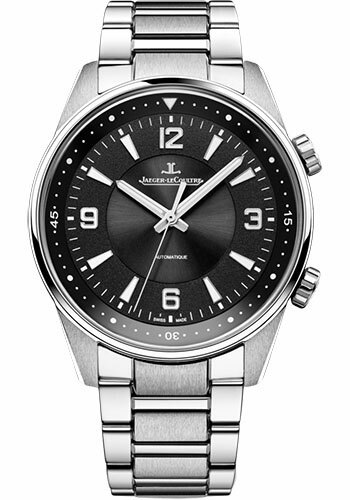 41 mm stainless steel case, 11.2 mm thick, black dial with white luminescent numerals, caliber 898E/1 automatic movement with hour - minute, rotation rehaut, seconds, approximately 40 hours of power reserve, stainless steel bracelet, deployant buckle. Water resistant to 10 bar. 41 mm stainless steel case, 11.2 mm thick, blue dial with white luminescent numerals, caliber 898E/1 automatic movement with hour - minute, rotation rehaut, seconds, approximately 40 hours of power reserve, stainless steel bracelet, deployant buckle. Water resistant to 10 bar. 41 mm stainless steel case, 11.2 mm thick, black dial with white luminescent numerals, caliber 898E/1 automatic movement with hour - minute, rotation rehaut, seconds, approximately 40 hours of power reserve, black leather strap, pin buckle. Water resistant to 10 bar. 41 mm stainless steel case, 11.2 mm thick, black dial with white luminescent numerals, caliber 898E/1 automatic movement with hour - minute, rotation rehaut, seconds, approximately 40 hours of power reserve, brown leather strap, pin buckle. Water resistant to 10 bar. 41 mm stainless steel case, 11.2 mm thick, blue dial with white luminescent numerals, caliber 898E/1 automatic movement with hour - minute, rotation rehaut, seconds, approximately 40 hours of power reserve, brown leather strap, pin buckle. Water resistant to 10 bar.